Prezentare In a series of hair-raising adventures both on land and undersea the teenage brother detectives pit their wits against some of the most ruthless criminals they have ever encountered. 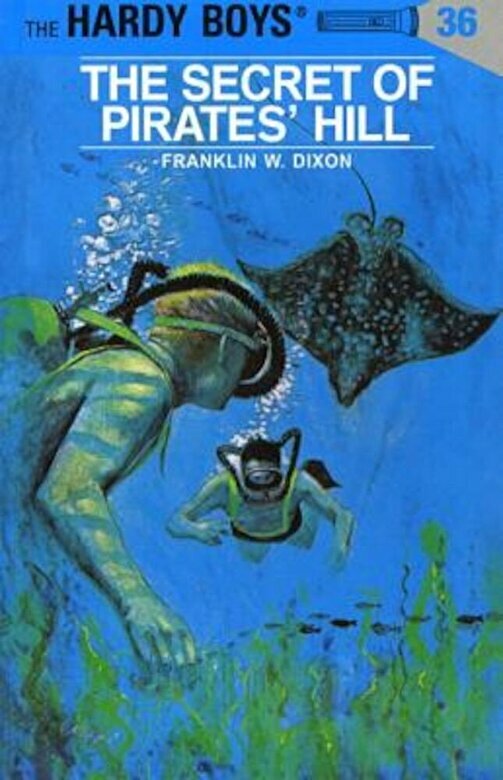 It all starts when Frank and Joe are skin diving just for fun and the thrill of exploring the undersea world. Suddenly, deep in the waters that flow near the foot of Pirates' Hill, a mysterious skin diver fires a spear through Frank's air hose. From this moment on, danger is never far away. The very lives of the boys are at stake as they, along with the help of their pals, uncover a mystery involving an old Spanish cannon and a fabulous sunken treasure.